Pride of Ownership is evident! 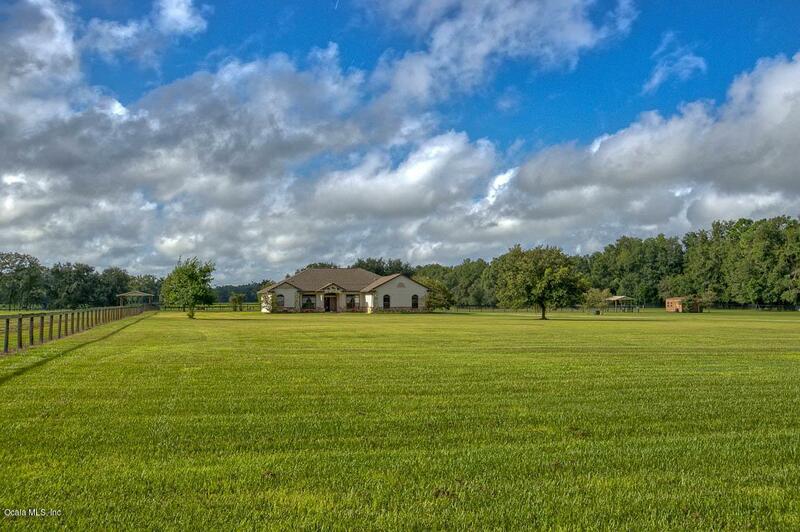 Beautifully manicured 20 acre farm in NW Ocala located not far from WEC and just around the corner from HITS! 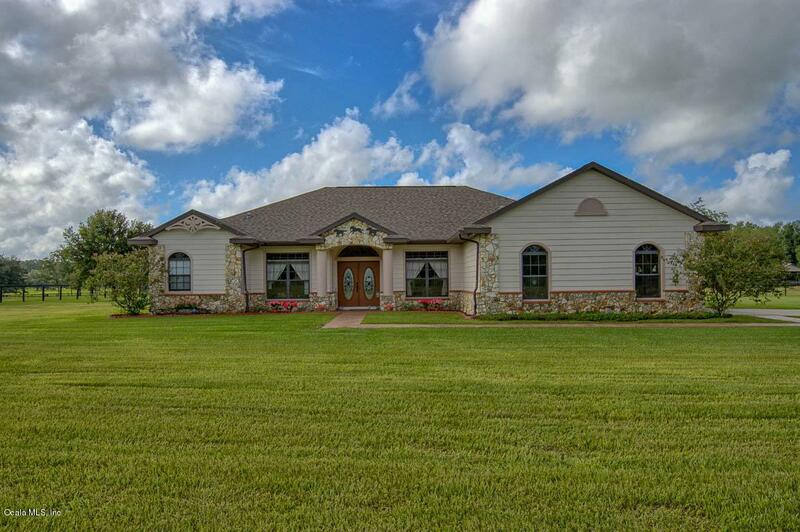 The elegant and impeccably maintained 3/2 home offers soaring ceilings throughout, a formal living and dining, office and floor to ceiling wood burning stone fireplace in the family room, which is open to the kitchen and features gorgeous wood floors! Enjoy the huge picture window from the breakfast nook overlooking the sizable screened lanai and luscious landscape beyond. Upgrades throughout include Granite, custom cabinetry and crown molding. The lovely master suite features a walk-in shower and soaker tub with his/her sinks and closets. And the charming and serene guest bathroom offers a clawfoot tub. 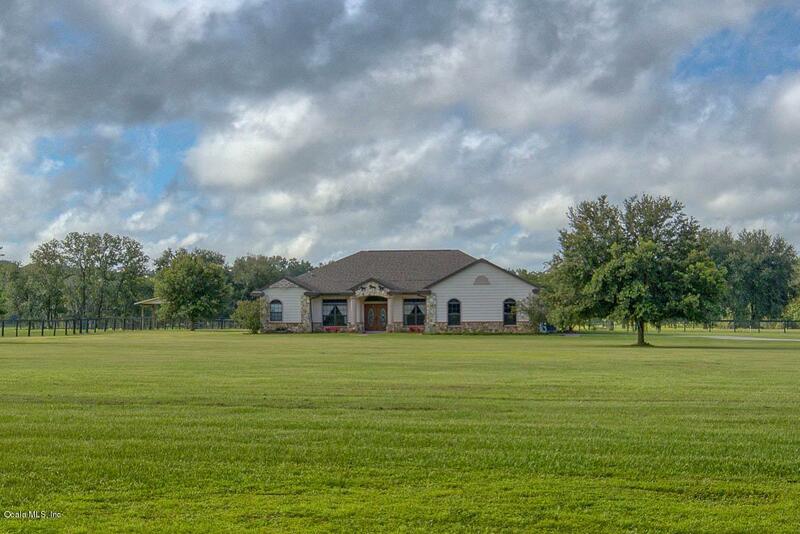 The property is complete with a customelectric gate, 3 large paddocks fenced and cross fenced with auto waterers and 2 run-in sheds. 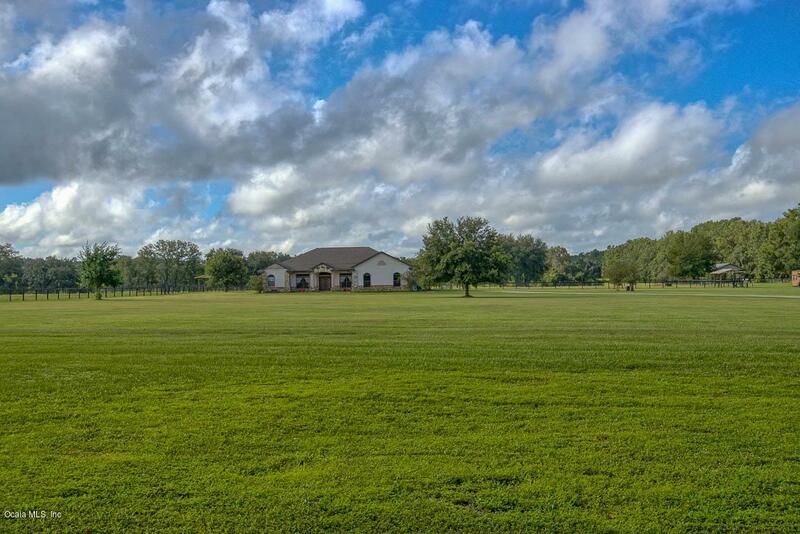 The farm is also equipped with a storage shed and 24 x 48 poll barn which could easily be converted for stalls. In the event of a power outage, there is a whole house generator, hand pump and gasoline fuel tank with pump. Plus a water conditioning system, a brand new HVAC and water heater, two septic tanks and termite bond. No stone unturned at this farm and the deferred maintenance has been done in advance!